COLOGNE, Germany – At the Tonmeistertagung conference on Sunday, 23 November in Cologne, Germany, Peter Glaettli of HARMAN’s Studer and Etienne Corteel of Sonic Emotion presented a paper titled, 3D Speaker Management Systems—Mixer Integration Concepts. The paper addressed the benefits of 3D speaker management systems over traditional systems, the differences between these systems, practical implementation practices for 3D speaker management systems, and more. 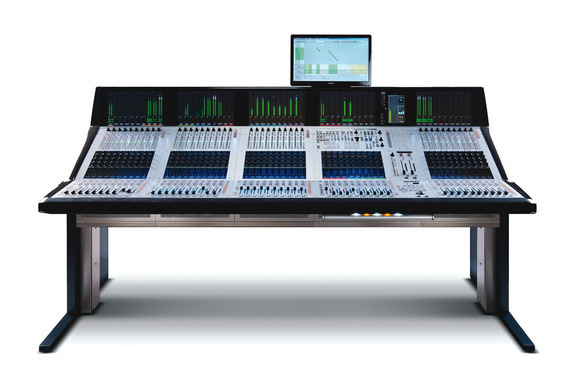 The paper demonstrates the integration of Studer digital mixing consoles with Sonic Emotion’s Wave 1 wave field synthesis-based 3D speaker management system. This integration allows the sound engineer to control the audio source placement in the 3D field directly from the source channel strip of a Studer Vista console surface. Selecting the source channel on the console also selects the appropriate source in the Wave 1 user GUI for an easily extended parameter. The source placement in the 3D field is done directly from the source channel’s Vistonics™ surround-pan rotaries or by using the console’s joystick. The combination of Studer Vista digital consoles and Sonic Emotion’s Wave 1 is uniquely optimized for effective 3D speaker management, particularly in theaters and performing arts centers, as well as concerts and festivals. Sonic Emotion’s Wave 1 is capable of 3D effects but also spatial sound reinforcement, adding realism to the reinforcement of audio sources, improving intelligibility of audio sources and naturally reducing masking between sound sources. Founded in 2002, Sonic Emotion is the world leader in 3D sound entertainment for consumer electronics and professional applications. Beginning with the sound technologies originally developed for academic use, Sonic Emotion holds a number of worldwide patents and is established as the leader in research and application of audio processing technologies. Recognized as the standard in sound, Sonic Emotion applied its expertise in the field to offer a scaled down version of the technology to meet the demands of consumers and professionals. Sonic Emotion’s Absolute 3D sound technology solutions have been included in entertainment electronic products sold worldwide including sound bars, towers, DAB radios, docking stations and mobile phone applications. Sonic Emotion’s Wave1 3D sound processor is installed in a growing number of venues for live sound reinforcement, theaters, parties, experimental 3D sound mixing and audio-visual immersive installations.